Buying a car is an important decision. Marketing gimmicks will try to sway you into purchasing a car you don’t necessarily need, or worse, a car you cannot afford. They will try to appeal to your emotions and tell you what you want. But be a smart and logical shopper. Before you buy a car, understand how much can you afford and what you want in a car. I know, I know, you just want to drive a leather interior higher-end, luxury car, equipped with all the latest technology. You tell yourself, you deserve it, right? You work hard and now you want to reap the benefits. But a car isn't an investment. It's not going to make you money. In fact, the depreciation rates on a vehicle are heartbreaking. The last thing you want to do is dig yourself into a financial hole for the next 60 months. Ask yourself, is this really where you want to spend your money? 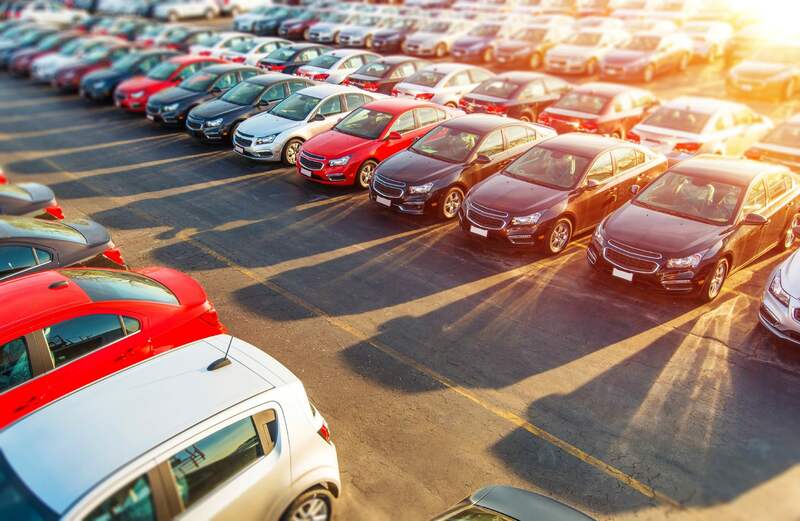 While a car is almost a necessity, here in southern California, there is a smart way to ensure you are purchasing the right vehicle. Let’s be honest, if you have good credit and make a decent living, most banks will approve any car loan. This is because it's pretty easy for banks to repossess (take back) the car, if you stop paying for it, then turn around and sell it again. So when it comes to accepting a loan, you’ll have to push your emotions aside and allow the left side of your brain (the logical side) to do all the negotiating. If you are not currently tracking your credit ratings, then rethink the way you are adulting right now. A credit score is absolutely imperative when asking for a loan, and having a good credit score will make you valuable to lenders. The important thing is knowing exactly what determines your credit score (good and bad), and that will be the key to maintaining a good score. Go here, if you need a crash course on credit ratings. Don’t fear, there are plenty of free services like credit karma to help you track your credit score. In addition, most online banking service includes some sort of services that track your credit. Take a look at your credit score. Your credit score, and how much money you have, are the two factors that will determine the loan offers. The next step is to take a look at your finances. See what you can afford to allocate for a car allowance. You can log into your bank account app to see how much your net pay (after taxes) income if you don't know. From that amount, subtract bills and other monthly services you are currently paying. Finally, subtract the amount you set aside for savings. Then, from the amount that is left, think about how much you want to allocate that towards a vehicle. This will determine what you can really afford. There is more that goes into paying for a car, then just the monthly payments. On top of a monthly car payment, you have to calculate the insurance for the car. As you start to narrow down on car choices, get quotes on insurance premiums. Some cars are more costly than others to insure. This might be the thing that exceeds your budget. I knew someone that had her heart set on a brand new Mustang. But after she realized how much insuring that car would be, she completely changed her mind. Shop around for some quotes on the potential car you want. Another thing people typically do not mention is the cost of maintaining and fixing your car. In addition to car washes and oil changes, maintaining your car can include changing tires and changing brakes. And, just like insurance, some cars cost more than others to fix. Do your research. It’s worth knowing beforehand. This is not a question of the year, make, and model of a vehicle, although it can be if you are looking for features only a specific car company can bring. Focus on the purpose and intent for this purchase. Start by asking the following questions. Hopefully, these questions will help you understand the type of car you actually want. We all get excited at the prospect of a new car. We want to get the latest, fastest, nicest new car. But be smart and purchase within your means. Do your research and shop around. Trust me, your future self will be grateful.